Downtown, at sunset, across the river. This is halfway through my run, facing south-west-ish; the last one was facing north-ish. These runs are good, and fun, sort of. On the last one, I sort of felt wiped out about halfway through. But on this one, I was only feeling wiped about halfway through each run, and then the walks got me going again. 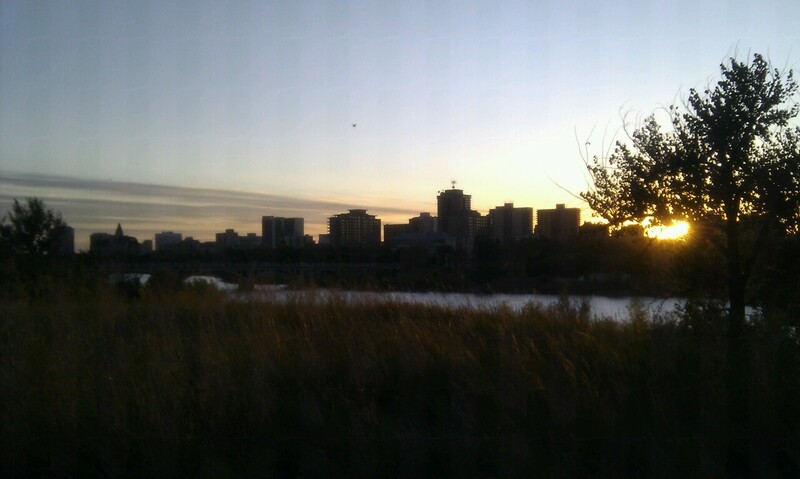 This entry was posted in Opinion and tagged exercise, photos, riverbank, running, Saskatoon, walking.